Walker Family Dentistry always appreciates feedback from our valued patients. To date, we’re thrilled to have collected 31 reviews with an average rating of 4.97 out of 5 stars. 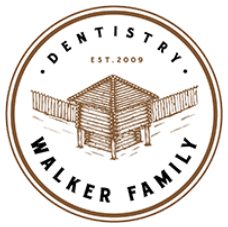 Please read what others are saying about Walker Family Dentistry below, and as always, we would love to collect your feedback. This is a very good dentist to go to!! Really good work an does his best for you so your not in pain! I love it!! All the staff is very nice!! Love them all!! I love dr. A and his staff. Both dentists do excellent work and explain the procedures so the patient feels at ease. I drive 2 1/2 hours to see Dr. Walker. I trust him to always do impeccable work. I always have a wonderful experience when I come to the clinic! Walker Family Denistry have cared for our family for several years. We have always received the best of dental care from very nice, professional, and well trained staff. Highly recommend!! It's the best place to get a good nap. I thought there was a problem with a tooth. As it turned out. There were two potential problems. Neither an immediate problem. All personnel are professional,Polite and caring. Always wonderful service! Great staff! !